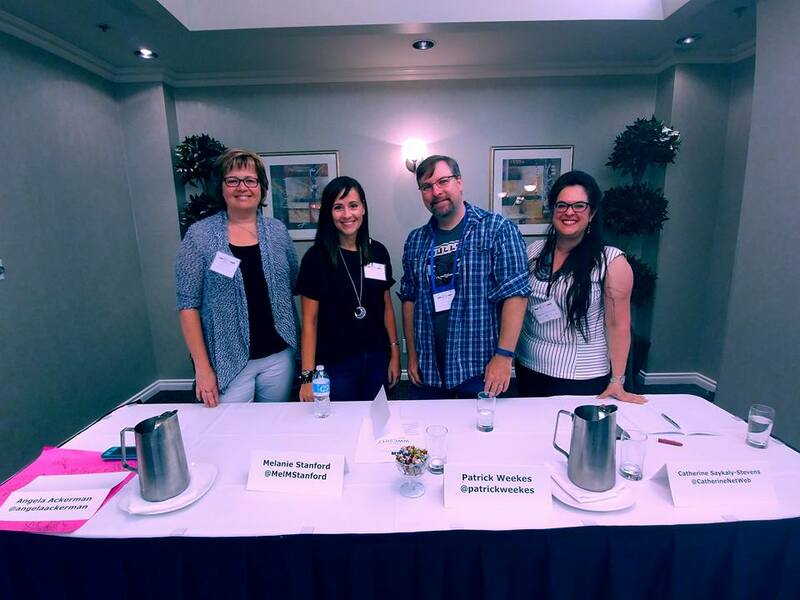 This weekend I had the chance to attend a writers conference- WHEN WORDS COLLIDE in Calgary. 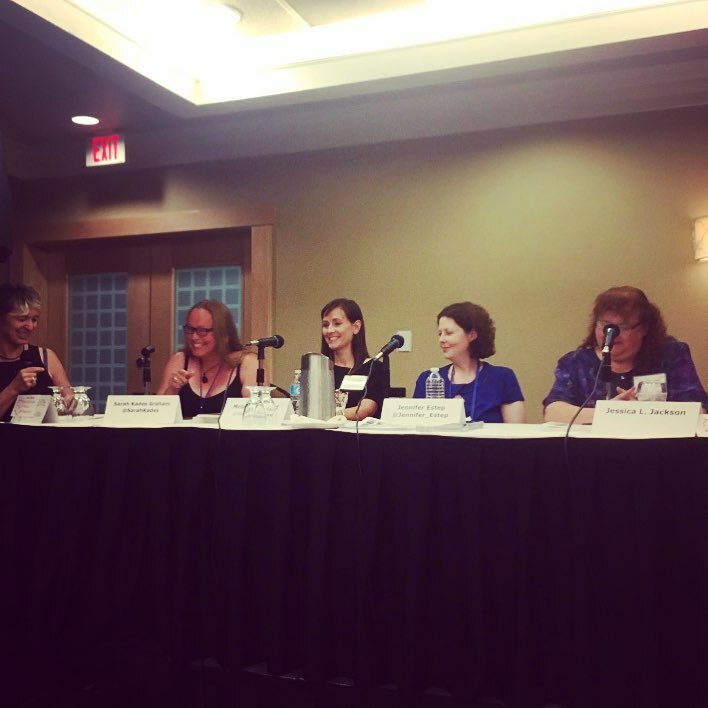 It was my third time attending WWC and my third time attending any writers con. It was a great experience, I learned a lot, participated in some panels, and sold some books. Most writers are introverts. A lot of us get really nervous about attending cons. We feel awkward and insecure and lonely and weird. We worry about having no one to talk to, or about trying to talk to someone. We worry about the stress we'll feel from being around so many people. We worry about the toll it will take on our bodies and minds. These are all worries I have personally. I get anxiety about it every single time. For at least a week leading up to WWC- or any author event, I'm sick to my stomach. I tell myself I won't go, then tell myself I will, then won't, then will, and back and forth. I feel absolute dread about the whole thing. I get sweaty and nervous before I have to appear on panels, or work the shared author table where my books are sold. I wish I was a different person who isn't like this. Who can saunter into any class or room and talk to random strangers- because after all aren't we all writers or artists of some kind? Aren't these my people? It doesn't matter what I tell myself on the drive in (nobody really knows you and you can be anyone), I still end up being mostly silent and alone and nervous and scared. So. This isn't me trying to drum up pity. And it's definitely not me telling you not to attend writers cons. Because YOU SHOULD ATTEND WRITERS CONS. Despite all the stuff I go through before and during, despite the need to de-stress afterward, I will keep attending. Why? First, I learn stuff. If I hadn't gone to WWC this weekend I never would have learned how to write a better fight scene, how to find influencers, and that I can pitch my book to Hollywood producers myself (no joke, you can!). I don't learn something new in every panel or class, but like I said earlier, just being around other writers is motivating. It's inspiring. It's beneficial. It's a must, especially for those of us who don't know many (if any) writers in real life. Second, people learn about me. I haven't done many in-person events. Mostly because I don't know where/how to book them. 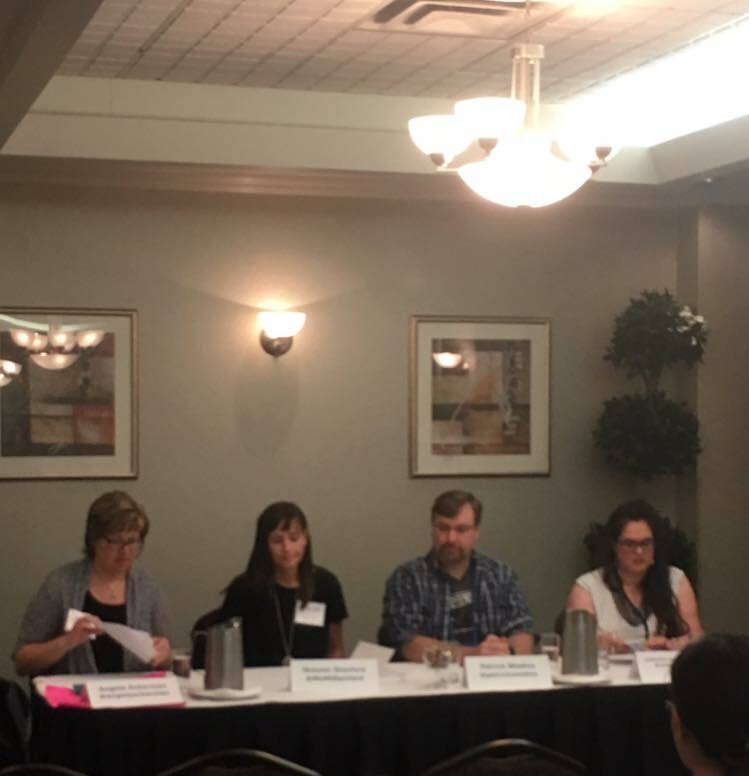 So when I know of one, a clear chance to get my name out there and my books on a table, where I can share what I've learned about the writing process/craft/business, then I need to take it. And you do, too. Third, I need to push myself out of my comfort zone. I know this. My therapist has told me this. I don't want my anxiety to beat me so I have to beat it. I'm hoping one day it will get easier, but I also know it probably won't. But I do it anyway because I know I should. To help my anxiety, I wear a fake tattoo. I started this with my first ever author appearance and it's become tradition. So when I start to get anxious or stressed or nervous or down or less in any kind of way, I look at the tattoo (usually on my wrist) and it helps ground me. So if you get anxiety about going to a con, find something that will center you. That will remind you that you are awesome and that you can do anything. Go to that writer's con. You won't regret it.